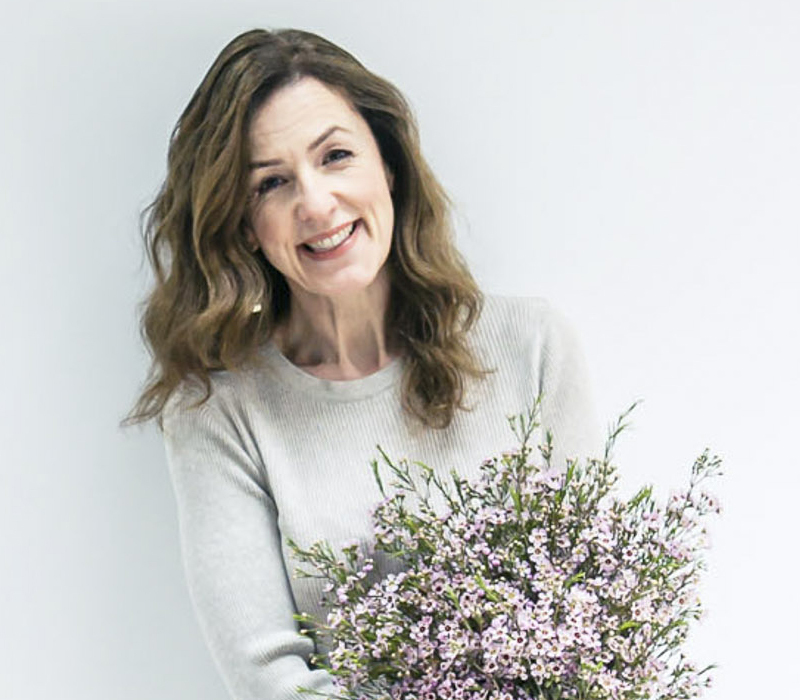 I hope you enjoyed my blog post earlier today featuring Valentine’s Day bouquets from Jane Packer. Next up are a collection of floral designs from Rebel Rebel. 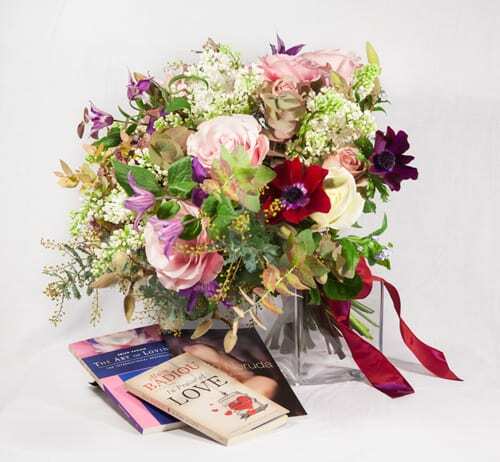 Their special Valentine’s Day bouquet above, which is available in three sizes, features Secret Garden, Amnesia and Norma Jean roses together with clematis, autumn eucalyptus, anemones, lilac and magnolia. 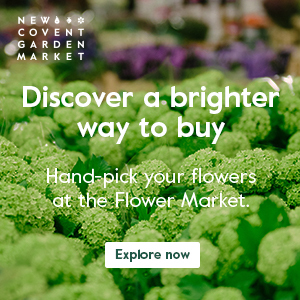 And this year, they’ve teamed up with independent bookseller The Broadway Bookshop, so that your beautiful bouquet can be accompanied by an anthology of love poems or a favourite book…even if it is The Very Hungry Caterpillar! 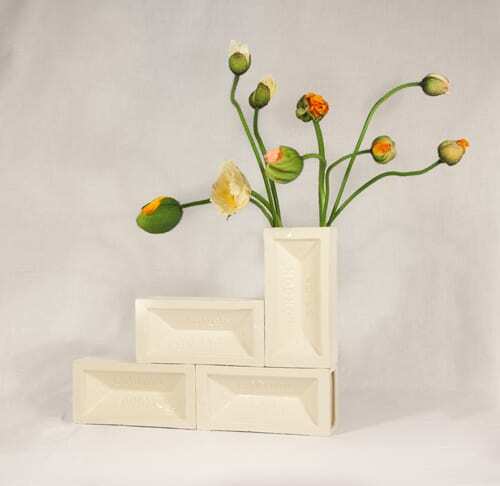 If you’re looking for something a little bit different container-wise, they have the two designs below. 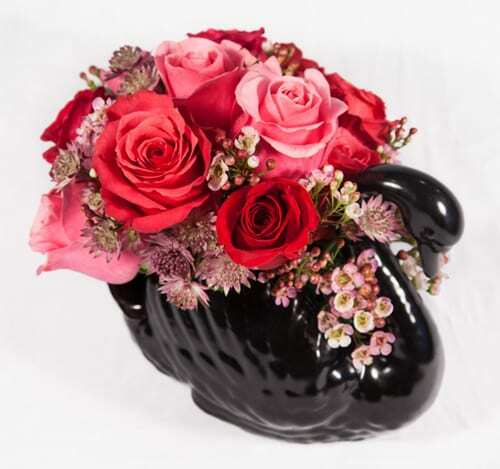 The Valentine’s Day bouquet can be ordered on its own, as can their swan and brick signature creations. And they deliver anywhere with a London postcode. If you’d like to keep up-to-date with Rebel Rebel’s news, they’re on Twitter and Facebook.